The perfect companion for work, free time and travel. The Ellsworth Backpack Sport comes with a large main compartment with internal organizer for laptop and tablet and a smaller front compartment for essentials. Two external side pockets with easy entry allow you to store and access a bottle or jacket on the go, providing you with extra space and comfort. Solid shoulder straps, high-visibility details and an anti-transpirant back panel design complete this product, resembling the simplicity of a backpack and the reliability of a SCICON product. 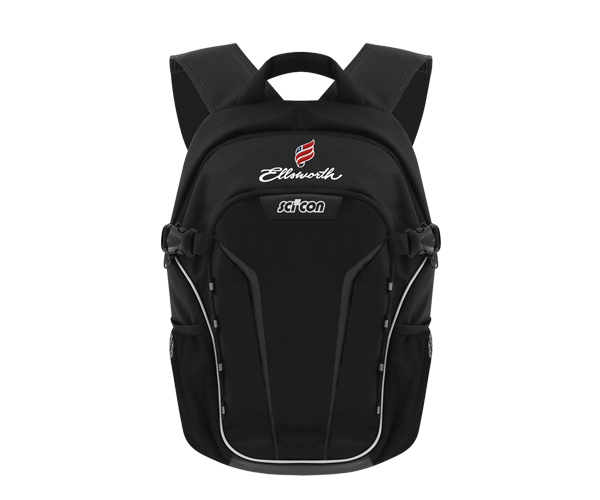 The Ellsworth Backpack Sport is ideal to use for work or your free time and is a handy travel bag to be used as carry on when traveling.